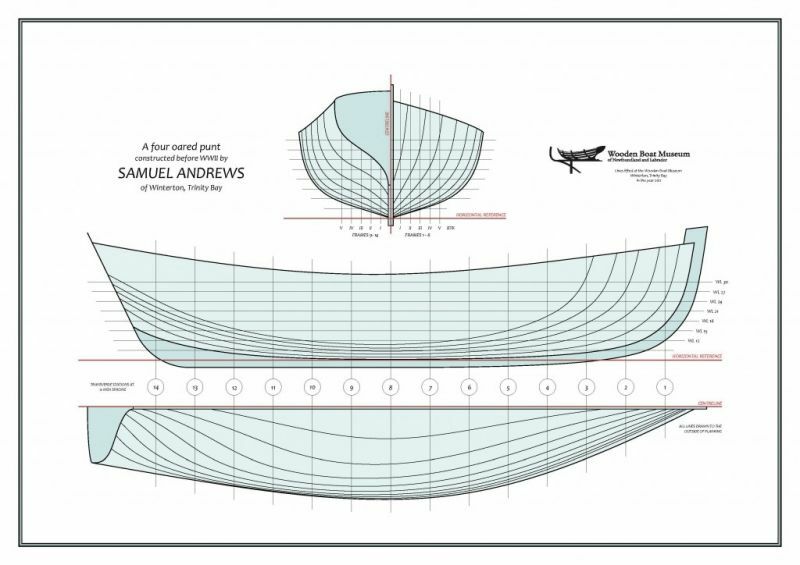 In his book, Boat Building in Winterton, David Taylor (2006) describes both the punts and rodneys as “round-bottomed, carvel planked open boats” that are built with the same materials. Both have the same hull form and would have been constructed with the same construction moulds, with adjustments made for desired length. Typically, a punt was bigger than a rodney and often used for hunting seals and turrs in the winter, whereas a rodney was a general purpose boat used year-round. In the late 1940s, this boat built by Samuel Andrews was purchased by Ron Sooley of Hearts Content. Ron used the boat for a number of years to fish and hunt seals and turr. When no longer seaworthy, Ron and his father, Bob, repaired the boat by replacing all of the timbers, planks, and the keel with new materials to produce an identical copy of the original boat. 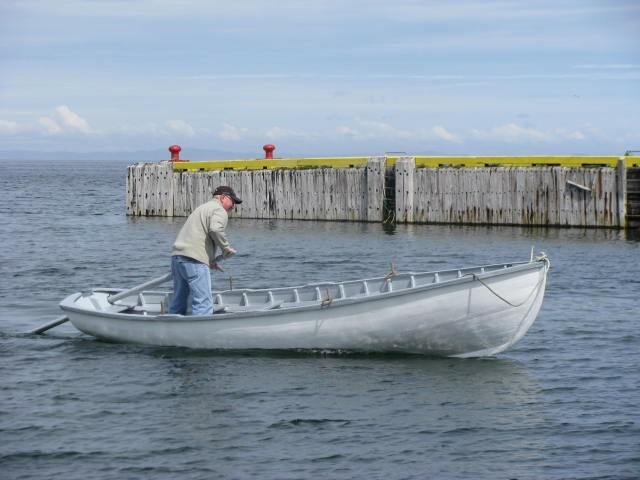 The punt was eventually purchased by Clyde George of Conception Bay South and was donated to the Wooden Boat Museum of Newfoundland and Labrador in 2008. Samuel Andrews’ four-oared punt can be viewed as a part of our Fishing Stage Exhibit at our Museum in Winterton, Trinity Bay.